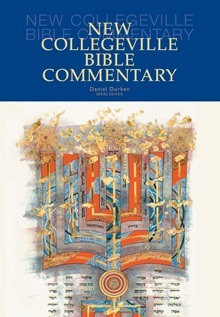 The completion of all thirty-seven volumes of the New Collegeville Bible Commentary means an important new resource is fully available to all who wish to delve more deeply into the word of God. Now the one-volume, hardcover edition brings together every volume into a single, accessible guide to the entire Bible in a convenient and attractive format. This comprehensive resource contains the same expert commentary that characterizes the complete series of individual books. Contributors include some of today's most highly regarded Scripture scholars, as well as some of the freshest young voices in the field. The commentaries, while reflecting the latest in biblical scholarship and study, are written in easy-to-understand language and bring expert insight into the Old and New Testament to Bible study participants, teachers, students, preachers, and all readers of the Bible. Includes full-color maps. Daniel Durken, OSB (1929-2014), Benedictine monk and priest of Saint John's Abbey, taught Scripture and speech classes at Saint John's University for almost five decades and served as director of Liturgical Press from 1978 to 1988. This is a useful introductory commentary which will be of value to those who wish to begin serious study of the text, and it succeeds in its stated aim of "opening up the sacred Scriptures to ever-new generations of Catholics". The scholars contributing to this series offer clear, concise commentaries that are suitable for personal study or preparation for preaching or teaching. This single-volume collection features several maps and a substantial introduction to the Bible, including a discussion of its origins and approaches to its interpretation. Readers looking for a general commentary on the Old Testament books to keep within reach will find this a welcome addition to their libraries.